Why Do One In Ten Kids In The U.S. Have ADHD? A U.S. government survey claims that 1 in 10 U.S. children now has ADHD. This is a sizable increase from a few years earlier. ADHD (attention deficit hyperactivity disorder) makes it hard for children to pay attention and control impulsive behavior. About two-thirds of the children diagnosed with ADHD are on some form of prescription medication. “In the latest survey, 9.5 percent said a doctor or health care provider had told them their child had ADHD … ADHD diagnosis is in many ways a matter of opinion. When the U.S. Centers for Disease Control and Prevention (CDC) surveyed 73,000 children, they found one in 10 has ADHD — a 22 percent increase since 2003. In all this brings the number of U.S. kids with the disorder to over 5 million, about 1 million more than had it a few years ago. As for why this massive increase occurred, there appears to be some serious head-scratching going on, and researchers could only say it could be due to greater awareness and more screening efforts. I would argue, however, that Attention-Deficit/Hyperactivity Disorder (ADHD) seems to have become more or less the catchall designations for children who do not “behave well” — and at least one study suggests that many children may be misdiagnosed. A study published in the Journal of Health Economics determined that about 20 percent of children have likely been misdiagnosed. That’s nearly 1 million children in the United States alone. The study found that many of the youngest children in any given grade level are perceived as exhibiting “symptoms” of ADHD, such as fidgeting and inability to concentrate, simply because they’re younger and being compared to their older, more mature classmates. In fact, the youngest students were 60 percent more likely to be diagnosed with ADHD than the oldest in the same grade. And when you take into account the maturity level, and in large part normal behavior of a 6 versus a 7-year old, you can easily see why. “… the “smoking gun” of the study is that ADHD diagnoses depend on a child’s age relative to classmates and the teacher’s perceptions of whether the child has symptoms. “A child’s birth date relative to the eligibility cutoff also strongly influences teachers’ assessments of whether the child exhibits ADHD symptoms but is only weakly associated with similarly measured parental assessments, suggesting that many diagnoses may be driven by teachers’ perceptions of poor behavior among the youngest children in a classroom. Diagnosing ADHD really comes down to a matter of opinion, as there is no physical test, like a brain scan, that can pinpoint the condition. There’s only subjective evaluation, and, for better or worse, teachers can play a significant role in this evaluation. As you can see, many of these “symptoms” could describe most children at one time or another! Therefore, only those who struggle with inattention and hyperactive or impulsive behaviors around the clock are candidates for the ADHD label, but it is frequently given to many other children as well. Given that two-thirds of children diagnosed with ADHD are prescribed medication — drugs that often contain different formulations of methylphenidate, a powerful psychostimulant drug that is in the same class as cocaine — receiving an ADHD diagnosis unnecessarily can be very harmful to a child. There are a number of theories to explain the rise in ADHD diagnoses, and there could be some instances where kids are displaying the above-mentioned symptoms due to external influences. Among them, exposure to food additives including preservatives and food coloring may cause ADHD-like symptoms. These chemicals have a particularly pernicious synergy if they are combined with sugars such as fructose. For instance, a study published in the journal The Lancet concluded that a variety of common food dyes, and the preservative sodium benzoate — found in many soft drinks, fruit juices and salad dressings — cause some children to become measurably more hyperactive and distractible. The study also found that the E-numbered food dyes (such as tartrazine (E102), ponceau 4R (E124), sunset yellow (E110), carmoisine (E122), quinoline yellow (E104) and allura red AC (E129) do as much damage to children’s brains as lead in gasoline, resulting in a significant reduction in IQ. The results of this study prompted the British Food Standards Agency (FSA) to issue an immediate advisory to parents, warning them to limit their children’s intake of additives if they notice an effect on behavior. They also advised the food industry to voluntarily remove the six food dyes named in the study in 2009 and replace them with natural alternatives if possible. Of course, the United States has not followed suit in issuing any similar warnings to American parents. What Else Could be Causing Increased Symptoms of ADHD? A key factor, I believe, is eating foods that one was not designed to eat. We know the food choices of most children — and adults — today are incredibly poor. How can you possibly expect a child to have normal behavior if he is fed refined grains, sugars, processed foods loaded with chemicals and genetically engineered ingredients, and juices and sodas instead of pure water? It is virtually impossible to have a healthy functioning brain when the proper building blocks to develop or maintain a healthy brain are not being given! Most notably, children who consume highly processed foods loaded with high fructose corn syrup and fruit juices tend to have a higher rate and severity of these symptoms. While organic whole grains are superior to processed ones, many children with ADHD do not respond well to most grains, especially wheat. Genetic factors — Some scientists are now aiming their research at finding genes that may make a person more susceptible to this disorder. Environmental toxins — A 2006 study found that a mother’s use of cigarettes, alcohol, or other drugs during pregnancy could increase the risk for ADHD. Exposure to lead and mercury may also cause ADHD symptoms, and pesticides and the industrial chemicals polychlorinated biphenyls (PCBs) have also been named as potential culprits. Allergic reactions — Chemically-sensitive people may exhibit ADHD symptoms when exposed to something as simple as clothing washed with perfumed and chemical-laden soap. Permanent press or stain-resistant products also contain chemicals that can initiate ADHD-like reactions in sensitive individuals. Increased number of childhood vaccinations – One 2007 survey found a strong correlation between rates of neurological disorders, such as ADHD, and childhood vaccinations. Vaccine adjuvants have also been associated with ADHD-type neurological problems. Emotionally unstable home environments — Stress is the frequently unappreciated and overlooked variable that can easily worsen ADHD. If the parents are having trouble in their relationship this can easily influence the child’s behavior. Increased rates of birth interventions. This can result in birth trauma and lack of oxygen in the newborn, which significantly increases the risk of developmental delay. The majority of kids diagnosed with ADHD will be prescribed potentially dangerous drugs. It is my sincere hope that people will begin to realize that drug therapy, if at all necessary, should be a very last resort when it comes to behavioral problems such as ADHD, used only after all other options have been exhausted. Unfortunately, U.S. pharmacists distribute five times more Ritalin than the rest of the world combined, according to Dr. Samuel Epstein’s Cancer Prevention Coalition (CPC). In all, 60 percent to 90 percent of U.S. kids with attention deficit disorders are prescribed this powerful drug, which amounts to 3 percent to 5 percent of U.S. children and teens on Ritalin. Research has also linked Ritalin with more severe health problems such as cancer as well as an increased probability of suicidal thoughts and behavior. Ritalin also has the same pharmacological profile as cocaine, yet its effects are even more potent. Using brain imaging, scientists have found that, in pill form, Ritalin occupies more of the neural transporters responsible for the “high” experienced by addicts than smoked or injected cocaine. In essence, we have created a large body of new drug addicts, priming them for addiction from an extremely young age. And most of these kids are receiving the drugs unnecessarily, when they’ve been either misdiagnosed or the true underlying causes of their hyperactive behavior have not been recognized! If your child has been diagnosed with ADHD or displays ADHD-like symptoms, first be sure they have been given an assessment that is appropriate for their age to rule out that their “acting out” is actually normal. Eliminate most grains and sugars from your child’s diet. Grains and sugars both tend to cause allergies in sensitive individuals. Even organic, whole grain can cause problems in many children so it would be wise to give them a grain holiday and see if their behavior improves. Replace soft drinks (whether diet and regular), fruit juices, and pasteurized milk with pure, clean non-fluoridated water. While you may believe fruit juices are a healthy option to soda, they aren’t and need to be avoided as strictly as soda does. Increase omega-3 fats by taking a high quality animal-based omega-3 oil. Research has confirmed that something as simple as animal-based omega-3 fat can improve the symptoms of ADHD more effectively than drugs like Ritalin and Concerta. In my view, krill oil is the best option for this. It contains essential EPA and DHA in a double chain phospholipid structure that makes it far more absorbable than the omega-3s in fish oil. Minimize your use of nearly all processed fats, especially trans fats as they disrupt nerve cell intercommunication. Avoid all processed foods, especially those containing artificial colors, flavors and preservatives, which may trigger or worsen symptoms. Clear your house of dangerous pesticides and other commercial chemicals. Pesticide exposure has been linked with ADHD. Avoid commercial washing detergents and cleaning products used on clothes, and replace them with naturally derived cleaning products with no added perfumes, softeners, etc. Investigate sensory therapy and emotional wellness tools. Instead of looking for a quick fix, encourage ADHD sufferers to talk, and find out what emotions are causing issues. You may want to consider the energy tapping techniques to improve emotional coping and healing. To Subscribe to Mercolas Newsletter Please click link of the source to the story below. The number of prescriptions for psychotropic drugs for children has more than doubled between 1995 and 2000. This revealing documentary by Gary Null details the devastating consequences of this excessive medicating of our children with mind-altering drugs. The film focuses on children who have been diagnosed with attention deficit hyperactivity disorder (ADHD), even though evidence to verify such a diagnosis is lacking. Instead, kids are often labeled with ADHD simply for acting like kids: fidgeting, speaking out of turn, not wanting to sit still, and being hyper. The diagnosis of ADHD is often made based on anecdotal evidence and standardized assessments from parents and teachers, without giving consideration to other potential factors like home life, diet, and environmental toxins. The end result for kids diagnosed with ADHD, as the video shows, is almost always medications. If you’ve ever wondered why kids were rarely committing suicide or violent acts in schools when YOU were growing up, this essential video may shed some insight. I urge you to devote some time to watching The Drugging of Our Children. This is a film that everyone with children should see. You may have noticed the back-to-school themed advertisements for ADHD drugs that came out just in time for parents and teachers to begin questioning which students will “need” these medications. This is a carefully timed marketing scheme aimed at selling more of these potent drugs, such as Ritalin, to your children -- and the marketing works. Many adolescent psychiatrists report that there is a sharp increase in prescriptions for ADHD drugs when kids start the school year. Some drug companies are even marketing candy-flavored versions of these drugs. It’s no wonder that drugs for ADHD bring in about $1 billion in sales every year. It is ironic that children are urged not to take drugs when it comes to the illegal variety, but are readily supplied with mind-altering medications as long as they are FDA-approved. However, health professionals prescribe these drugs without warning parents about the severe and potentially fatal side effects (psychotic symptoms, headaches, insomnia, hallucinations, cardiac arrhythmia). Many of the drugs used to treat ADHD are not only potentially hazardous, but they are unnecessary if your child is treated appropriately. Using plenty of animal-based omega-3 fats like krill oil. Spending more time in nature. Balancing your intake of omega-3 and omega-6 fats (from vegetables oils). Avoiding processed foods, especially those containing artificial colors, flavors, and preservatives, which may trigger ADHD symptoms. Replacing soft drinks, fruit juices, and pasteurized milk in your diet with pure water. Reducing or eliminating grains and sugars from your diet. For parents out there, I realize that many decide to put their children on a psychotropic drug because they believe it will help them. There can also be extreme pressure to do so, with some public schools even accusing parents of child abuse when they resist giving their kids drugs such as Ritalin. This is an article I found today on babble.com. I don’t see how the benefits outweigh the risks after reading this. Some disturbing new evidence is coming to light about the stimulant drugs, such as Ritalin, used to treat kids with ADHD. In a small number of children, the drugs have caused sudden death; in fact, kids treated with these drugs are seven times more likely to die suddenly than kids who are not. Madelyn Gould, a professor of clinical epidemiology at Columbia University/NewYork State Psychiatric Institute, was asked by the FDA to look at the safety of ADHD drugs after some reports of deaths started coming in. She examined the death records of 1,128 children from 1985 to 1996 and found those taking stimulants drugs were much more likely to die. However, Gould herself doesn’t recommend taking children off the drugs; instead, she suggests that parents make sure their pediatricians thoroughly screen their children for cardiovascular abnormalities before putting them on the drugs. Doctors should take a full family history and do additional screening if the child has risk factors for heart disease. They should also be monitored regularly to check for any alarming increases in blood pressure. Even if the risk is small, it’s pretty scary. But as someone who’s lived with untreated ADD, it really affected my performance in school and can make even day to day life as an adult more difficult than it has to be. It’s just another tough choice we have to weigh as parents – don’t treat something that can very negatively affect our kids, or treat it but worry about the higher risk. Parents of kids with ADD or ADHD, what do you think? Are there other things you’ve tried that work or don’t work as well? When I tell people I get acupuncture done some think it’s a little kooky but I guess I am a little but who cares. For years I have been going to an acupuncturist for different things from anxiety to sinus issues, colds, whatever. About 1 1/2 years ago I started bring my then 10 year old son for anxiety and ADD. We always knew he was a little ADD but not until this year we actually had him tested. When he was in 1st grade the school he went to was constantly complaining to my husband and I that he never paid attention and was not getting his work done. Then they made the almighty suggestion of “bring him to the doctor and putting him on medicine” We told them that was NEVER going to happen. They were relentless and were not going to give up but we continued to refuse. They admitted he was not a disruption to class. (it would just make their job easier) We ended up changing schools (we couldn’t run out of there fast enough) and I changed his diet. It helped a little but it wasn’t till this year that we got to the root of the problem. We had him tested and found out he is dyslexic. Since starting acupuncture for him he is a new child. Anxiety is gone and there is no problem at night getting him to sleep in his room by himself. He is not getting all A’s by any means but he is trying. We know he is not going to be a rocket scientist but he will do well. I can honestly say that if it was not for acupuncture we would still be having anxiety issues and sleeping issues with him. 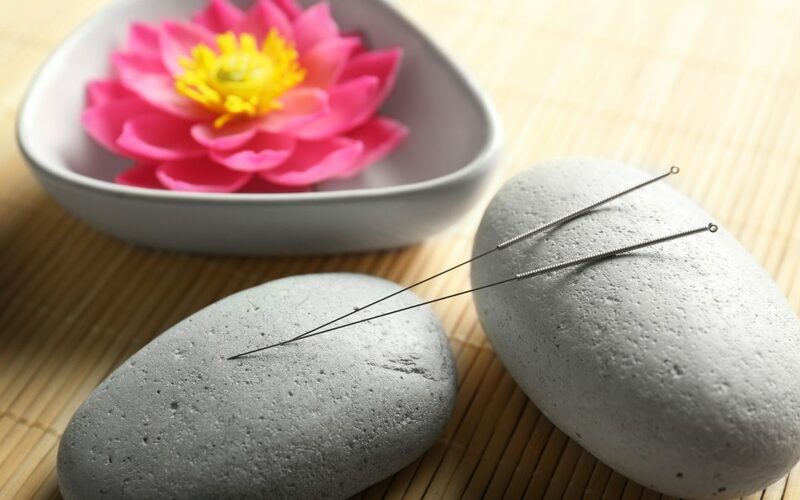 He is continuing the acupunture and he actually enjoys it,it relaxes him. I told the acupuncturist he is dyslexic and he said he can help him with that. I think he probably will. If any of you are having any of these issues with your children I highly recommend it. (and it doesn’t hurt) I think it works for almost everything. Let me know what you think, have any of you tried it for your children or yourself? Almost 30 million prescriptions for Ritalin and similar drugs to treat attention deficit hyperactivity disorder (ADHD) were written last year in the United States; 23 million were for children. While these drugs are among the most widely prescribed medicines in the world, they also remain one of the most controversial. The latest chapter in the debate over the safety of ADHD drugs: The Food and Drug Administration’s (FDA) investigation regarding a link between Ritalin and cancer — based on a small University of Texas study. And while the Texas researchers claimed their study was far too small to prompt the parents of attention deficit patients to abandon Ritalin and may contain some methodology flaws, the FDA, National Institutes of Health (NIH) and the Environmental Protection Agency found the results merited public concern and further study. A grant proposal is in the works at the NIH to fund a much larger probe in 2006, involving many more patients and a variety of drugs. The news about Ritalin’s possible link to cancer comes in juxtaposition with another health issue surrounding the class of ADHD medications known as methylphenidates, to which Ritalin belongs. Thirty-six psychiatric events (such as hallucinations and suicide ideation) for Concerta, compared to 16 for Ritalin and other methylphenidates. Concerta had 20 cardiovascular event reports; other methylphenidates had four. Some critics, however, believe labeling changes may not be the answer. According to the director of the child and adolescent psychiatry clinic at Jackson Memorial Hospital and an associate professor of psychiatry at the University of Miami School of Medicine, labeling is an oversimplification of the problem and doesn’t address the many other problems that are affecting the outcome. Even if Ritalin didn’t cause chromosomal damage that could lead to cancer, it is still more potent than cocaine and best left as the very last option in helping to control your child’s behavior. Instead, educating yourself on the wide variety of safe and natural options available to treat ADHD is an important first step in avoiding drugs like Ritalin and getting your child on the road to optimal mental and physical health. Eliminating processed foods, especially those containing artificial colors, flavors and preservatives from your child’s diet. Giving your child plenty of animal-based omega-3 fats and balancing the intake of omega-3 and omega-6 fats. Replacing soft drinks, fruit juices and pasteurized milk in your child’s diet with pure water. Radically reducing your child’s intake of grains and sugars. Spending more time with your children in nature.